Driver information about driving licences, learning to drive, entitlement to drive, endorsements/disqualifications, driving abroad and what to do when you have changed your address and/or name. Vehicle information about taxing your car or apply for a refund, number plates and registration marks (including personalised registration numbers), importing / exporting vehicles, fighting vehicle crime and consumer advice on buying a used vehicle. Every vehicle registered in Great Britain must be taxed if used or kept on a public road. Your vehicle must have a SORN (Statutory Off Road Notification) in force and be kept off-road if its not taxed. You will face enforcement action if you have not made a SORN. You can use this service to find out what information DVLA holds on its database about a vehicle. In order to make an enquiry you will need the vehicle registration mark (number plate), and the vehicle make. This information can be found on the registration document or certificate, also known as the logbook. The Vehicle and Operator Services Agency (VOSA) provides a range of licensing, testing and enforcement services with the aim of improving the roadworthiness standards of vehicles ensuring the compliance of operators and drivers, and supporting the independent Traffic Commissioners. The Individual Vehicle Approval (IVA) scheme is a UK national approval scheme for vehicles and trailers imported, assembled or manufactured in very small numbers or as individual vehicles. It is a means of checking that vehicles broadly meet the technical requirements laid out in European legislation whilst ensuring that they have been designed and constructed to modern safety and environmental standards. Paul (an ex DVLA inspector) will check & complete all the IVA documentation, liase with the local test centre, complete the DVLA registration documentation and liase with the local DVLA office to ensure you have a trouble free experience. The purpose of this Association of Car Enthusiasts (ACE) website is to provide a platform where all vehicle based legislative issues can be readily accessed and to provide a rallying point for all interested parties. In the past it has been an uphill struggle to get the information out to all the clubs, forums and magazines in a short and concise form when you really need to know the background to the issues to understand the fully implications. Hopefully the information provided here will provide the necessary history and go some way to explain possible implications of legislation as it arises. At Backford Bloor & Co, we are dedicated to providing our clients with a high standard of customer care and value for money insurance. We appreciate that your kit car is one of your most cherished possessions and that finding an insurance policy that provides comprehensive cover is essential. Our years of experience in this "niche market" makes us ideally placed to offer you what we believe is one of the best policies available, the KIT CAR SCHEME. Unlike many other policies this scheme is tailor made especially for kit car owners and is not a standard motor policy with a few optional exceptions. 2gether Insurance now have over 70 000 clients and are proud to say we remain independant. 2Gether work with a number of car clubs and specialist owner groups and are dedicated to these relationships which have been the foundations of our wonderful business. Adrian Flux is the UK's largest specialist motor insurance broker, covering everything from classic and vintage cars, right through to heavily modified sports cars. 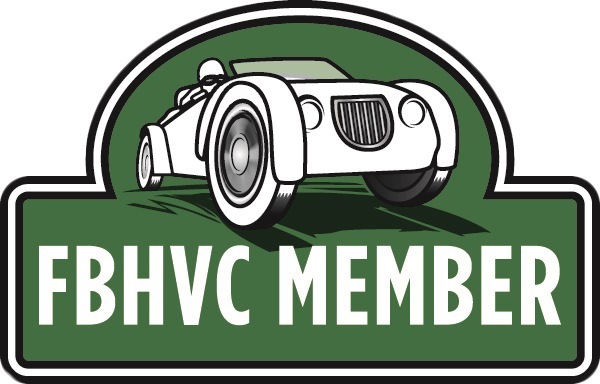 We use our specialist knowledge to offer great rates covering almost every vehicle imaginable with special low rates for classic car insurance, hot hatch insurance, high-performance car insurance, modified car insurance, 4x4 insurance, kit car insurance, grey import car insurance and much more.